What is a Certified Peer Visitor, CPV? 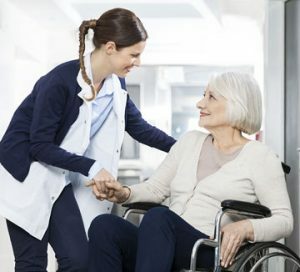 The PEER visitor is an amputee that has been nationally certified to speak in reference to amputations and what to expect throughout the process. The PEER visitor is a person that will sit and listen to a new amputees concerns or feelings and be able to consult them on their conditions and what is to be expected. The PEER visitor will go along side of the new amputee to walk through the process with them so they don’t have to do this alone and will have a network of people to go to in time of need. To become a CPV, a person with limb loss/difference or a family member must meet all criteria and successfully complete an 8 hour training course offered at one of our partner hospitals/rehab facilities or a support group. The training’s help individuals learn to recognize the elements of recovery and how to respond with helpful interventions during different phases of emotional adjustment. Once certified, the new CPV will receive a certificate, identification card, and may begin making peer visits when requested. How often are trainings offered? CPV training is offered, as needed, at partner hospital and rehab facilities. Facilities will typically host 1 to 4 trainings each year. Trainings are also offered at the request of support groups that are willing to host a training. Every year, each region of the country typically has about 1 to 3 trainings at a support group. If you would like us to contact you when there is a CPV training in your region, please email info@gotlimb.com with your name, city and state. There may be a fee to cover the cost of the training manual and other materials. Please contact your peer visitor trainer to determine exact fee. Interested in becoming a PEER visitor? Please contact us today. There a people out there that need your guidance and support. Thank You!